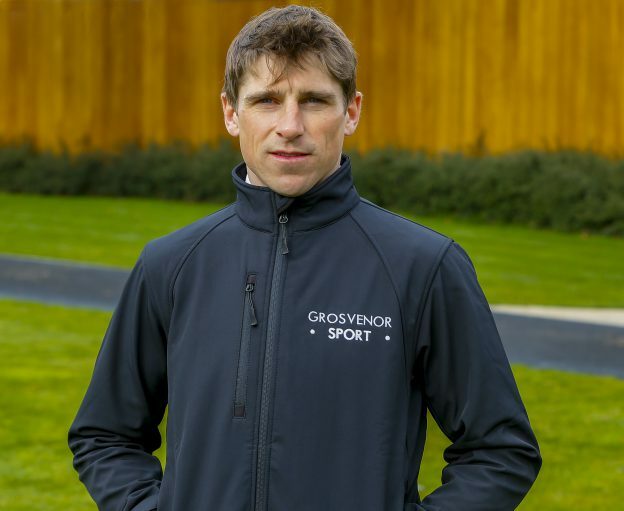 Grosvenorsport.com ambassador and leading National Hunt jockey reflects on the Grand National Festival at Aintree, and looks ahead to his rides this weekend at Ayr and Stratford. Aintree was a fantastic meeting and lots of our horses ran well which was nice to see. Aux Ptit Soins was really good in the handicap hurdle on the Saturday. He’s a class horse on his day and loves to be fresh, so we purposely missed Cheltenham. We were all delighted to get the Hales family a good winner. Bridget’s [Andrews] has done a lot of work with this horse, she rides him every day. A lot of the credit goes to her. She has been guiding Dan on how he is and what we should do with him. He has an entry at Punchestown in the Stayers Hurdle. We might keep an eye on that and see how he is. We’ll be going down the Graded route for him next season. Tommy Rapper ran a blinder to be second and we’re really looking forward to going over fences with him next year. Roksana did nothing wrong, she ran a career best in the Stayers Hurdle. It was an improved run from Cheltenham and we’re excited about for her next season. She’ll stay over hurdles and we’ll go down a similar route. Ch’Tibello ran a great race to be third in the Aintree Hurdle on the Thursday. It’s nice to know that he gets that two and a half miles and it opens up a few options for him. He arguably ran a career best and he’s been a great horse for us. We’ve always thought a lot of Destrier, he’s only had three runs over fences. Hopefully next season will be a big one for him. It was great to be there to witness Tiger Roll win the Grand National. What an incredible horse he has been for National Hunt racing. He has been handled immaculately by Gordon Elliott and Aintree on the whole was a great advert for our sport. The horses are running really well at the moment which is obviously very pleasing. Obviously Dan is trying to get to 200 winners for the season and we’ll keep pushing towards that. The staff have worked very hard to get us all there. Ayr hosts its big Scottish Grand National meeting and I have a nice book of rides on Saturday. Everything looks spot on for Azzuri. We pulled him out at Aintree last week because the ground had gone against him. He has no weight on his back and should run really well. He bolted up at this meeting last year and has taken a bit of time to get things together this season. Hopefully back on spring ground will do the trick and he seems to come to life at this time of year. We have had this race in mind for Molly The Dolly for quite a while. She has been progressive over fences and has done nothing wrong whatsoever. Three miles over fences will be fine for her. She doesn’t want it too quick but decent good ground will be fine. Nube Negra ran well at Newbury last time. He was brought down at Taunton the time before that and we just wanted to make sure we had a clear round at Newbury first and foremost. He stayed on well and comes into this race in good form. The track and trip will suit him, although Verdana Blue is the one I fear most, she’s a class act on her day. This race has been the plan for a while for our horse and we won it three years ago with Ch’Tibello so it would be nice to do it again. Crosspark has had a great season but he has a career high mark to contend with in the Scottish National. The ground will be fine for him and he’s really learning how to stay. I always think it takes a couple of runs for these horses to learn how to race over these distances. He has a nice weight, goes there in good form and Caroline [Bailey] has done a great job with him. I’d say all of mine have chances on Saturday, but Solomon Grey might be my best chance of a winner. He ran well in the Lanzarote Hurdle and is coming into this race in really good form. The trip should suit him well and I can’t see too many negatives, he should run a big race. Ferrobin looks to have a good chance in the novices’ hurdle, the step up in trip should suit him. Bridget won on him at Huntingdon and he then ran well at Kempton. It was very windy that day, which meant it was hard to make all. I think 2m6f round here will suit perfectly. Holbrook Park won at Plumpton a year ago and was tried over 3m4f at Huntingdon when he refused at the last. Neil King’s horses are in good form and he must have a chance. My final ride of the day is Ratoute Yutty who has been pretty disappointing to be honest. She ran well at Ascot in November but hasn’t gone on since then. We’re hopeful rather than confident.